What early learning programs does the KCCC offer? The KCCC offers a range of programs for children aged six months to 12 years. Which room is right for my child? Your KCCC management team will assist you to identify the correct room for your child based on his/her age, abilities and interests. 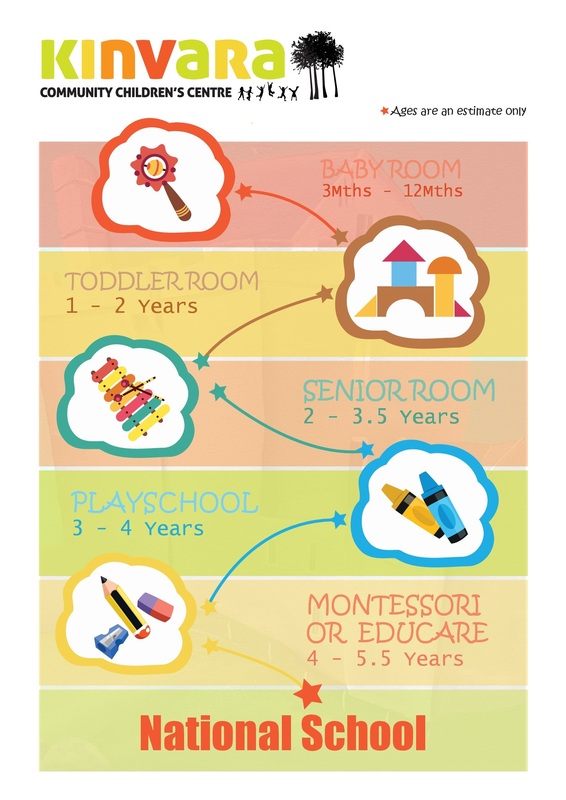 Our easy reference chart below can help you understand how a child progresses through the KCCC, however please keep in mind room spaces and progression is offered on the basis of availability and your child may be placed on a waiting list, or in an alternative room, until your desired room space becomes available. For further information please contact us.